Greystone at Widewaters, luxury apartments in Knightdale, North Carolina, part of Wake County, feature spacious one, two, and three bedroom floor plan options. With a perfect location near Raleigh, NC, shopping, dining and recreation is within your reach at nearby shopping centers, as well as major employers for easy commuting. Each of our apartment homes for rent in Knightdale, NC features a full-size washer & dryer, walk-in closets, track lighting and maple cabinets. Open floor plans allow you to define your space and give it character. Modern kitchens, bedrooms and bathrooms are perfectly detailed with the highest quality features that allow you to experience ultimate living. 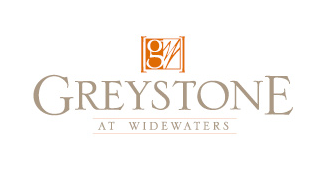 Greystone at Widewaters offers a high-end clubhouse and resort-style pool and cabaÃ±a, both designed for relaxation during the summer months. The clubhouse is well-appointed, with a beautiful stone fireplace and flat screen TV with surround sound, offering the perfect place for residents' parties and get-togethers. The clubhouse and pool area are equipped with Wi-Fi internet access, which makes it easy to stay connected. Plus you and your companion will love spending time at the community dog park of our pet-friendly apartments. If you are searching for Knightdale apartments or are simply relocating to East Raleigh or Wake County, then come to Greystone at Widewaters.